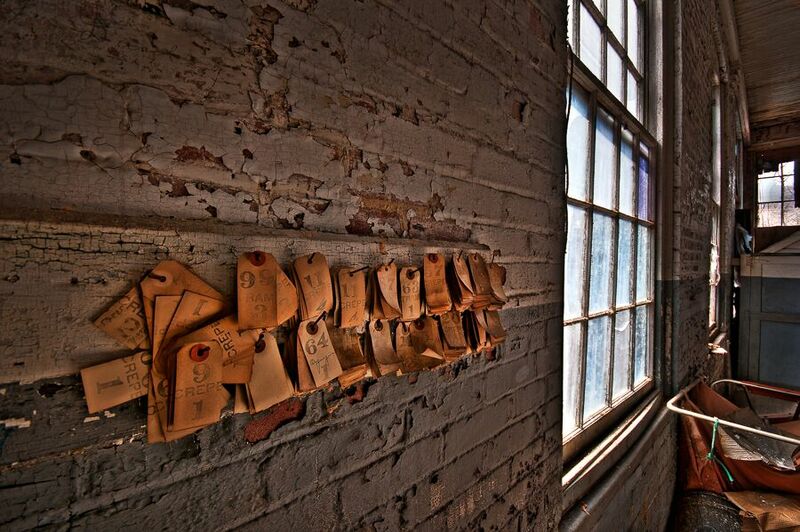 With photographs by Walter Arnold, from the series Abandoned Silk Mill, 2011. Formerly a park ranger, factory worker, and seller of cemetery plots, Joni Tevis is the author of the acclaimed book of essays, The Wet Collection. Her nonfiction has been published in Oxford American, the Bellingham Review, Shenandoah, Gulf Coast, and Orion. 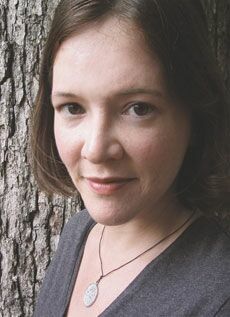 She currently teaches literature and creative writing at Furman University, and lives in Greenville, South Carolina. 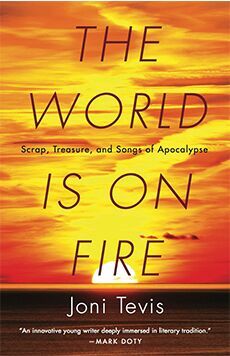 Her new book The World Is On Fire: Scrap, Treasure, and Songs of Apocalypse was released in April 2015 from Milkweed Editions. Jan Bindas-Tenney: I notice that your bio begins with a list of jobs. As a former union organizer who grew up in a paper mill town, I’m also intrigued by work. What is it about labor that interests you? Joni Tevis: I didn’t necessarily want to write an elegy, but I wanted to write about work that is gone or disappearing from the landscape of upstate South Carolina. I needed to get the facts and details right, to pay careful attention to what I saw people doing as they worked, and also how they explained their work to me, I’m thinking of when I shadowed the Scissorman (“The Scissorman”), the Auctioneer (“The Hammer Price”), or talking to my dad about his factory work (“Warp and Weft”). I wanted to bear witness by being as particular as I could. 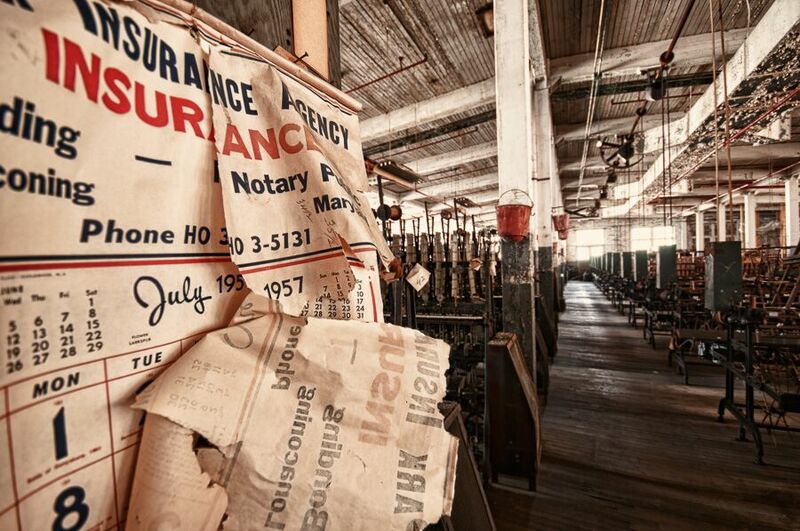 These were not unionized mills and the efforts to unionize were met with some pretty serious resistance. The environmental costs were real and we are still paying. It was never utopian by any means, but at the same time they made some good product in the textile mills and people were proud of that. They raised their families on that money. 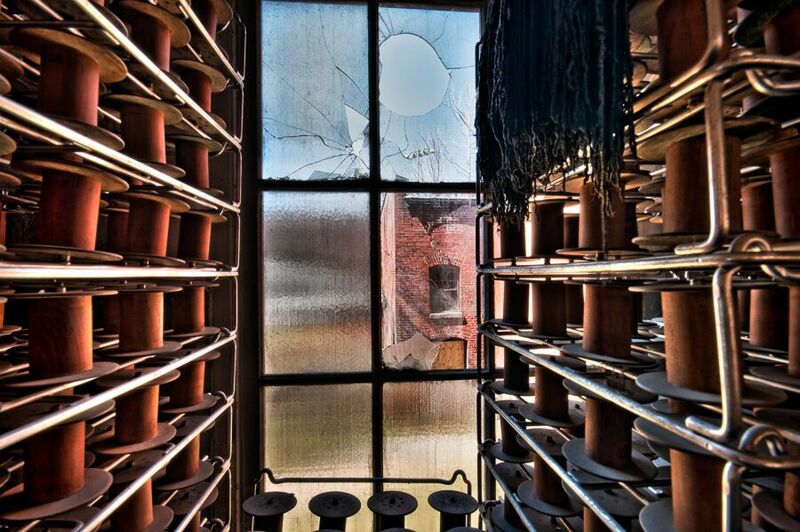 There was a sense of community in the mill life and I don’t know what has replaced it. Here in the upstate we have some car factories, and those are good jobs, but they have not come in the same numbers as the unskilled textile mill jobs of the past. In a way we are still dealing with the fall out from the decline of industry. I had this sense of it slipping away as it’s been twenty years since most of the mills shut down. JBT: I like this idea of capturing something as it’s slipping away. The World Is On Fire feels alive with the tension between death and resurrection. You do some direct historical reconstruction and speculation, I’m thinking about the opening in Sarah Winchester’s House (“What Looks Like Mad Disorder”) where we start inside Winchester’s head, and other parts of the book where you seem to breathe life into dying people, places, songs, Buddy Holly, etc. The whole book fluctuates between life and its demise. JT: I think that’s right. That’s why at the end of the Buddy Holly essay, “Damn Cold in February,” I was so excited by this possibility of him being alive. He’s just standing outside the recording studio, smoking a cigarette. In reality he’s been gone for years, but in the space of the essay and on the page, he can live again. JT: I have to give credit to my wonderful editor at Milkweed Editions, Patrick Thomas who is very good at big picture structure and I appreciate it so much. I didn’t know until very late in the process what the book really wanted to be about; it was the same with my first book (The Wet Collection). I tend to work that way, subconsciously looking for compelling images or fragments and trying to put little pieces in relationship to each other to see how they spark and gain energy. I work that way for five or six years. Closer to the end of the book writing process, I recognize the arc I’m trying to fill out. JBT: So, what is the book about? JT: The “Acts” idea works on several levels because the book is a lot about show and performance and the relationship between performer and listener. Deeply, the book is about the experience of living in a haunted world, which does not always have to be a bad thing. The book starts in the Winchester House, which seems like a haunted house in many ways and I think the people who run it play up that reading, however, as I investigated it more, I came to think, “what if we are the ones haunting the house?” We are the ones haunting Sarah’s house and we shouldn’t be there. In Act One, it becomes clear how atomic testing left serious marks on the land, in the air and in all of us. We are living in an atomically haunted world where the water is changed because of radioactive isotopes. It has changed all of us, whether we think about it or not. Act Two investigates the landscape of upstate South Carolina, old textile mills, some of them burned down, some of them still standing, some with just the smokestacks left, some repurposed, but none of them what they once were. This too is a haunted landscape. In Act Three, even our bodies can be haunted by what we’ve gone through, what we’ve lived, what we’ve made or not made. JBT: Tell me about your research process. It seems your essays often begin with a trip to a place. What is your draw to place? JT: I’ve always believed that travel forces me to open up to the world in a different way than regular life does. I tend to notice more, the things people are saying, or the bumper stickers, or the t-shirts people are wearing, or what’s for sale in the gift shop. I like this hyper-aware reading of place. Then I get back home and sift through to find out what about this place draws me, what is my “in.” I take the material and try to unpack it more through traditional research. Starting with place gives me a way to write essays not necessarily based around a major plot point in my life. It has given me a way to look out, while also looking in. 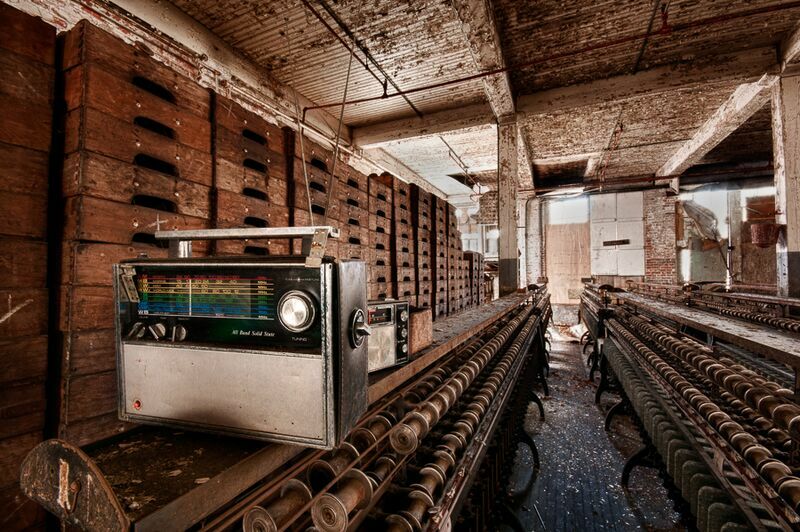 JBT: Are you consciously seeking out all these ghost towns and ruins? Or is it more intuitive? JT: It was really more intuitive. At a certain point I realized I was fascinated with places of atomic dread. It really started with a wordless desire to go somewhere and see what it was like. I don’t want to overdetermine the experience before I go. For me one of the most exciting things is to follow an intuitive hunch. Plenty of trips do not become essays, and I think false starts are okay. I love the unconscious, intuitive hunch that leads me somewhere. I have to trust that, and then see what it’s about. JBT: I’m interested in what you said about these trips giving you a way to look out and in at the same time. Certainly Act Three of this book focuses much more on the personal than the rest. How do you balance the inward and outward looking in each of your essays? How do you know who you’re going to be in each essay? JT: In my first book (The Wet Collection), the narrator does not tell much about herself, there are little moments, but the book is not confessional at all. I was much more comfortable in that range. For example, Annie Dillard or Anne Carson are writers whose patterns of thinking we get to know very well and whose ways of observing the world we know very well. We know all this about them, but not much about their personal lives. For a long time that’s where I felt more comfortable, and probably naturally as an essayist, that’s where I fall. In the third Act of the The World Is On Fire, I didn’t want to silence myself from writing about several big events in my life. For instance the Alaska essay (“What the Body Knows”) is a perfect example of going somewhere without knowing where it would lead. I knew I was writing a book interested in atomic themes and you can find atomic history in far northern Alaska. There’s a whole section of that essay that I ended up cutting about Project Chariot that is a story for another day. As I grappled with the material, I realized that the essay was a river journey in one sense, but also a labor story in another sense. I wanted to tell both of those stories together around the simple framework of the journey. I wrote and rewrote it many times and in the end it is a story with a happy ending. Then I had these other events like the miscarriage essay (“Touch the Bones”) that I needed to write for myself. I wrote “Touch the Bones” adhering to the fiction that no one else would ever see it. I thought it would be interesting to scaffold this experience with some other travel experiences, the Mütter Museum and the Natural History Museum in Florence, giving the material some artistic energy. The hard thing about the Freddie Mercury essay (“Somebody to Love”) was to enact an experience that did not have a definite beginning, middle or end and still make it work artistically. I hit on this thing that felt very audacious, to write about secondary infertility juxtaposed with Queen. I love Queen, but they are so over the top! They are so bombastic! I thought, “Wow. This seems kitschy, this seems risky, and this could really fail. I want to see if I can do it.” I built the essay around the structure of the song. I did it all for myself, again adhering to the fiction that I would never show it to anyone. I did not want to self-censor experiences that had been important and formative for me. It depends a lot essay to essay, what narratorial self I need to reveal. JBT: I definitely think a lot about this inward/outward question in my own work; do you feel resistance at all to inward-looking essaying, perhaps in reaction to the misogynist idea that men essay looking outward while women essay by looking inward? JT: Ah, yes, but then again…I’ll tell you something that was so helpful for me: reading David Foster Wallace’s A Supposedly Fun Thing I’ll Never Do Again, which I think would have been better if it had been 25 pages instead of 100. I don’t mean any shade on him, but if he gives himself permission, if his editors give him permission, to write 100 pages about a cruise that lasted one week, that was not earth-shaking, then I can sure as hell can give myself permission write 20 tight, revised, clean, aesthetically daring, researched pages about a grievous, devastating event that happened to me. If it makes some readers uncomfortable, they don’t have to read it, but I’m going to give myself that permission. JBT: I think the way you do it is subversive; your essays are so tight, so layered and create such an artistic spark, all of that seems subversive to me. JT: I wanted to be subversive. Both the miscarriage essay (“Touch the Bones”) and the Freddie Mercury essay (“Somebody to Love,”) don’t follow a straight plot. I’m trying to convey an experience that cannot be conveyed through language, but language is all we have. I think about what Mark Doty says about description, highly textured and sonic language, language that’s embodied like the language of poetry, so that the reader can feel it. I think language can give the reader an entrée into an experience. Even if the experience is not something the reader has access to, the travelogue can be a way in. JBT: You often utilize the imperative in your essays. For example, “Damn Cold in February” starts “Click through the images,” “Warp and Weft” starts with “Tell me a story you know by heart.” You speak to me directly as a reader and tell me what to do. What is it about the imperative that draws you? JT: Part of it could be because I’m so steeped in the Hebrew Bible. The Bible is full of commands, the prophets demanding these things of us. Poets demand things of us. Maybe I just want to boss people around. Ha, ha, no but in a way I want to be a prophet or a seer or a magician. I want to make the reader feel and experience. Physically, we can’t experience it all. For example again, at the end of that Buddy Holly essay (“Damn Cold in February,”) he’s standing outside the recording studio and you feel the hot smoke in your throat, you are inhabiting this body that has been gone, gone, gone for so many years. That is the power of the word. It allows us to do things that are not physically possible and yet we feel them and experience them in some radically empathetic way. I want to give people a visceral experience that will change their minds by making them feel. There is a radical intimacy in the second person. It possesses the reader; it makes the narrator’s experience ours. Like with the Alaska essay (“What the Body Knows”), which is set in a hard place to get to, geographically, financially, it took a lot of resources to get there. I knew it would be very difficult to get back and I knew most people reading it would never get there, I wanted to convey empathy for a place through the experience of time traveling there by reading about it. JBT: I’m really impressed with the many content, thematic, syntactical and structural layers that you’re pulling off in each essay: songs, travel, syntactical switches, narrative, research, and ideas. JT: Isn’t it fun to play with language in that way? I don’t ever want the reader to be confused or not with me, but I don’t always want it to be safe either. Take for example the Led Zeppelin song “Black Dog.” I feel off-kilter the whole time listening to it. They are not off-kilter, they know what they are doing, but listening, it’s hard to get a read on exactly why the ground is shifting below my feet. How can we enact that feeling in prose? How can we do things in prose that are as daring as really great poetry? JBT: What about this idea of accessibility vs. risk? I think most of my favorite authors do just what you say: write essays that are accessible, yet take major risks below the surface. JT: It’s so exciting for me to think about shape and structure doing the work that plot would usually do. In order to write an essay, you don’t need to wait for something big to happen, you can mine the material of your daily life and make something artistically useful and successful by using the engine of shape or structure. Shape could be a pop song, a journey, a year, or a day in the life. The great thing is that the reader does not have to know that the Freddie Mercury song is moving her through the piece. She doesn’t need to know in order for the essay to be satisfying on a subconscious level. Jan Bindas-Tenney is a candidate in the MFA Creative Writing Program at the University of Arizona where she reads nonfictions submissions for Sonora Review. She is at work on a book-length collection of essays exploring enclave (gated, secluded, and intentional) communities and their relationships to a continually dissatisfying and unattainable desire for the good life. Her essays have appeared or are forthcoming in Arts & Letters, Gulf Coast Online, Guernica, and CutBank Online, among other places.